share all the new quilting goodies we found. just for checkin’ out the party! If you are getting this message for the second time -- sorry! 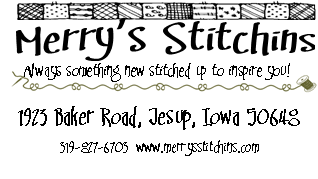 Do you "Like" Merry's Stitchins on Facebook? something new we will unveil at our After-Market Shindig!